Targeting the competition is an advertising tactic that’s been around since the Mad Men days, and it’s evolved into bidding on competitor keywords in AdWords. This tactic has its benefits because your competitors are attracting prospects via Search that would surely make a good fit for your business, and in some cases they may already be solution aware. In short, they might be primed and ready to find a product or service (that’s you!). Targeting your competitor’s brand terms on AdWords might seem like a no brainer. And—if it were simple—perhaps we’d all be creating a list of our competitors’ names and calling out their flaws in our ad copy. After all, with a few clicks you could be stealing their traffic and their business, right? Not so fast. 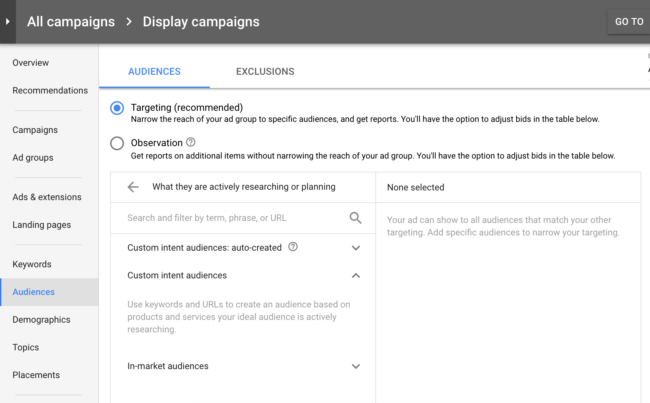 The rules of AdWords competitor targeting can be tricky to navigate, and there’s a lot to consider before deciding if it’s right for you and your brand—including rules from Google. So how do you know if it’s right for you, and how do you do it well? Knowing you’re being targeted is a start, but if you’re entering the ring it’s time to check out your competitors’ ad copy. Seeing how your competitors position themselves against your own brand will give you an idea of what you’re up against. By looking up what your competitors are saying in their ads targeting your terms, you’ll be better equipped to tweak your own. For this you can, of course, do a simple Google search, but it’s better to use the Ad Preview and Diagnosis Tool to test search queries in different countries and locations of your choosing. You’ll still get an idea of who’s winning auctions for your precious keywords — and how they’re positioning themselves. In this quick search for travel comparison website Trivago, we can see that KAYAK — a similar comparison site — is showing up in position two. This is a not-so-sneaky example of competitor bidding in action. 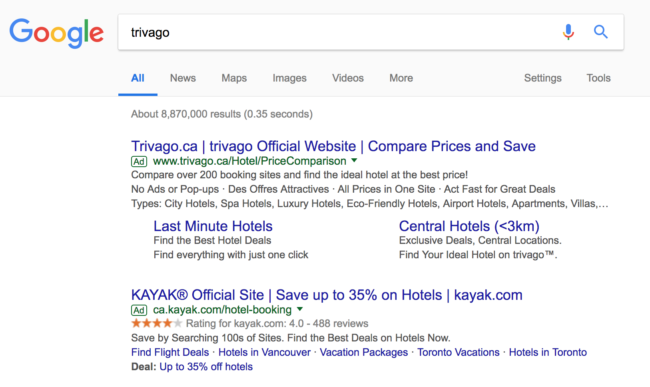 Luckily, Trivago is still capturing that top spot with their own term, otherwise KAYAK would be appearing just above their organic results. It’s unlikely that all of your competitors are targeting your key terms, if any. 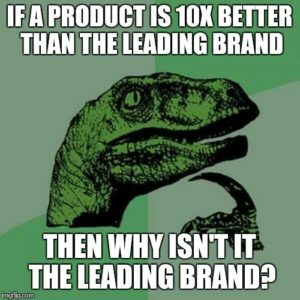 But, if you don’t have a clue who your competitors are, this is where you need to start before you even think about launching a competitor campaign (seriously, stop reading this blog post right now and do that instead). Put your keyword research chops to use and try to build a comprehensive list of the competitors in your space. Once you have a list of your competitors, it’s time to go a level deeper. You can spend some time on your competitor websites and expand your key terms list to include distinct brand terms like a specific product, slogan, recurring event, webinar series, anything you find that can be relevant to a search. What you’re not going to find on your competitor’s website is a list of their downfalls. If you don’t already have this kind of competitive research in your marketing arsenal, you can go straight to the source: competitor’s customers. I like to sift through customer reviews — these could be from Amazon, Facebook, or other review sites — and see what customers are saying. That is—what are their strengths that you can avoid in ad copy, and what are some pain points that you can help solve? For instance, if your competitor is a clothing retailer, do customers complain about the quality of fabric? This will help guide your ad copy and make it a lot easier for you to swoop in on that traffic. One thing that stands out in the KAYAK example is that the ad copy is almost identical. They both focus on plentiful hotel options, comparing multiple websites, and getting a good deal. What they’re not doing is setting themselves apart and explaining why they’re better than Trivago. For instance, KAYAK users can save time by booking discounted flights alongside their hotels, whereas Trivago compares hotels only. They then carry the “you’re not alone” theme straight into the ad’s landing page. They’re speaking to Wealthsimple’s digital-first audience and showing that they too have online investing and low fees, but also one other thing that Wealthsimple is missing: A dedicated, human advisor. 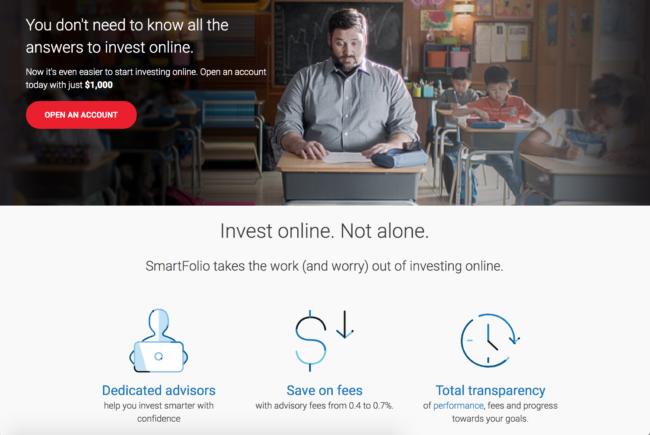 Overall, BMO have clearly done their homework on the messaging they want to carry from ad to landing page based on what their competitors are offering, and you can do the same copy-wise. One of the trickiest things about AdWords competitor targeting is Google’s policy around the use of Trademarks. It’s the reason why the KAYAK ad in the example doesn’t mention Trivago anywhere in the copy. Using another brand’s trademarked terms is an easy way to get your ad disapproved, or worse, reported by the trademark owner. There are two exceptions to this rule: one for what Google calls “information sites” and one for resellers using the brand name or terms to “describe products.” This allows businesses like department stores to advertise Nike shoes even though they’re not Nike. If you’re reading this, you most likely don’t fall into either of those exceptions. Remember when your mom told you to treat others as you’d like to be treated? The same thing applies in advertising. Rules or no rules, playing nice with your competitors is always a good practice. Not on AdWords to make friends? Don’t think you can get around this policy by using Dynamic Keyword Insertion, because yes, they thought of that! While you’re a considerate fellow marketer, someone else might not be. If you notice your trademarked term slip into the search results, you can always file a complaint. And don’t forget to take a screenshot! If you haven’t trademarked your branded term, or haven’t trademarked it in some countries, you might want to look into going through the process if you’re facing tough competition. You might think you have a right to Position One for your branded terms. 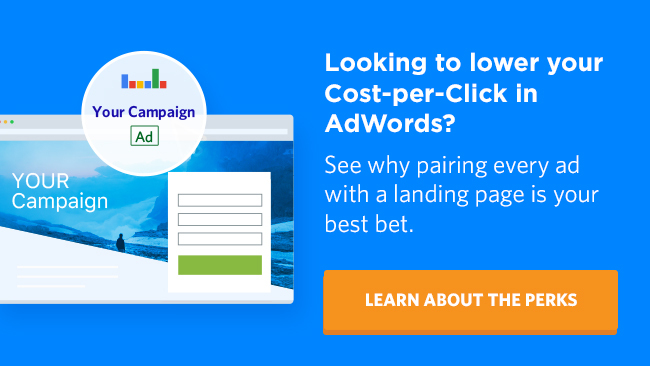 But the truth is, if you’ve been sloppy with your copy and resulting landing page experience, and your bids are low, you could be outbid by a competitor. If the thought of this happening keeps you up at night, one option is to use the Target Outranking Share automated bid strategy. This gives you the option of automatically raising your bids when your chosen keywords are competing against another bidder in the AdWords auction. Of course, this comes at the cost of a higher bid. What happens if both you and your competitor use Target Outranking Share on the same keyword? According to Google, “the strategies will increase each domain’s bid until one of [you] reaches [your] maximum bid limit. The participant with the best bid and Quality Score will earn the higher ad rank.” In other words, be prepared to pay! 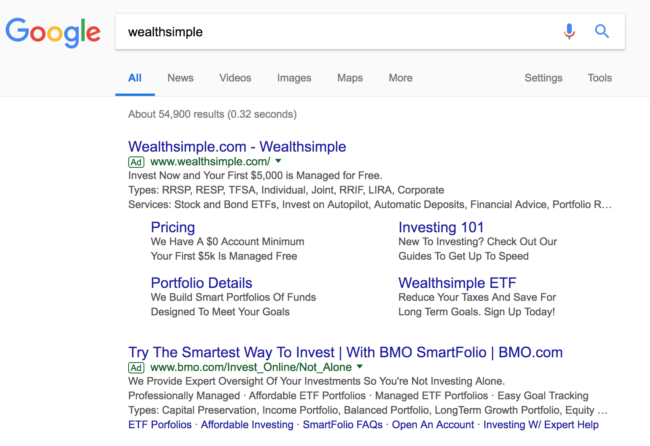 Although Google does not explicitly state that this will target visitors to those URLs, it’s worth testing a custom list made up of your competitors’ websites and key terms. Bonus: Competitors won’t be able to see that you’ve added their URL to a list. One of the biggest downsides to competitor targeting on Search is that it can open you up to a bidding war and cause some serious cost-per-click inflation. Remember: If you invite competitors to bid on your branded terms (and they’re not already), the competition for your keywords will increase, driving up your cost. Branded search is most likely a source of cheap clicks in your account. Over the long term, branded terms likely bring you more volume — and at a lower cost — than competitor traffic ever could. One reason for this is that you’re likely to have a higher ad relevance and landing page experience (and thus a higher ad rank and Quality Score) when your branded keywords match the branded experience on your ad and landing page. If you’ve been noticing the cost of your branded search terms creep up, competitor targeting is a likely culprit. That being said, if your goal is to grow your business at all costs, then go forth and target! Maybe you’ve just discovered that your competitors have been eating your lunch. Or, maybe you unknowingly started a first-page battle and are hoping this blog post has some advice to help you cool off your CPC. Whatever it is, there is an option that could help you end it once and for all — but it’s not guaranteed. If you’re not already frienemies with the competitor in question, it’s worthwhile to reach out and see if you can reach an agreement that prevents either of you from bidding on the other’s branded terms. If you’re feeling down about your CPC reaching new heights, chances are they’re feeling the same way. You’ve done the research, you’ve identified the competition, and you’re confident about jumping in (cautiously, of course) to bid on some branded keywords. Go for it! Play nice, craft creative copy, and always keep an eye out on your own terms. You never know who might be after them. What are your thoughts on bidding on competitor terms in AdWords? Let us know in the comments if you’ve given this a try, or if you never would and why.